With a view to solve the liability issue plaguing nuclear reactors, the Government of India has asked General Insurance Companies (GIC) to work on a model that could be applied to insure such facilities in the country. “This is preliminary work. 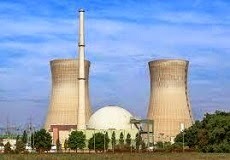 We have asked GIC to prepare a product that can be used for the nuclear industry," said a senior government official. As per the sources, this decision was taken at a meeting between the ministry of finance and the department of atomic energy earlier this month. The proposed insurance plan would have to look into the capacity of a reactor and the liability and then work out the premium for insuring it. Mr. Ratan Kumar Sinha, Secretary, Department of Atomic Energy said, “The work is in progress. We are interacting with the Indian industry as well as Indian insurance companies. I am sure there will be a good solution available." Under the Civil Liability for Nuclear Damage Act, 2010, the operator, which is the Nuclear Power Cor. of India Ltd (NPCIL), has to pay Rs.1,500 crore to affected parties in case of an accident. However, it can invoke the 'right to recourse´, which has been objected to by several international players and domestic suppliers. Under this, NPCIL can seek damages from the suppliers. “This means liability can be fixed on the suppliers. But a nuclear reactor may have several components from different suppliers. In case of an accident in one part, the supplier of another component cannot be held responsible.This has been one of the major grouses of suppliers.